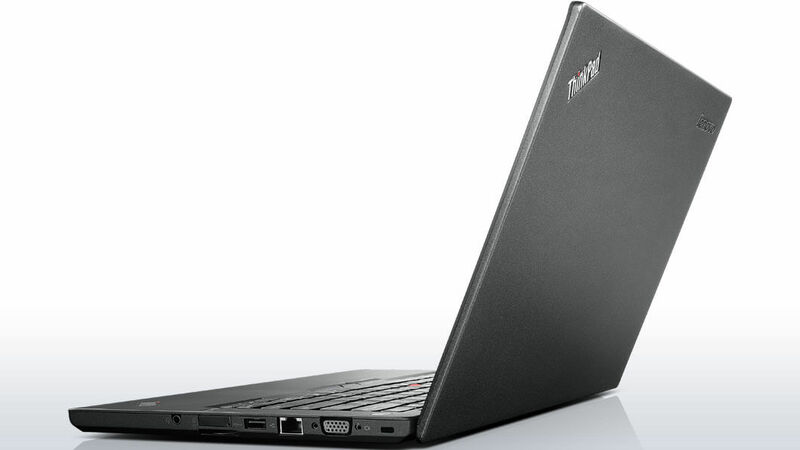 Slim design and rugged nature is what Lenovo ThinkPad T450s is all about. It has been seen that the T series laptops have been known for first class blend of good battery life, durable design, great keyboard and sharp screen. The 14 inches ThinkPad T450s literally takes mobile productivity to entirely new level with its speedy Intel i5 5th generation CPU, comfortable navigation and typing experience along with more than 15 hours of battery life. Here we will be discussing the design, battery, features, benefits and disadvantages, software, display, audio, security, durability, performance and much more about the Lenovo ThinkPad T450s. Read below and know on your own whether this laptop is a good buy option or not. 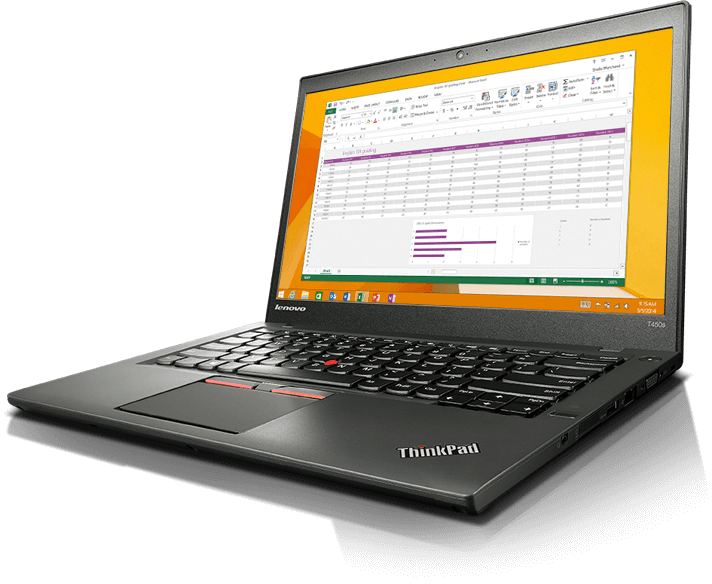 Talking about the design, the T450s has been especially designed to be a go to, trustworthy tool you can rely on for keeping the sensitive data secure and protected. The makers have also ensured that accessing data is not difficult with the tools like integrated fingerprint reader as well as improved manageability. With a rectangular shape as well as raven black sides, bottom and lid, the laptop has quiet and stylish ThinkPad appeal that looks good at home or at office. The red coloured TrackPoint pointing stick as well as red striped buttons truly adds splashes of shades. 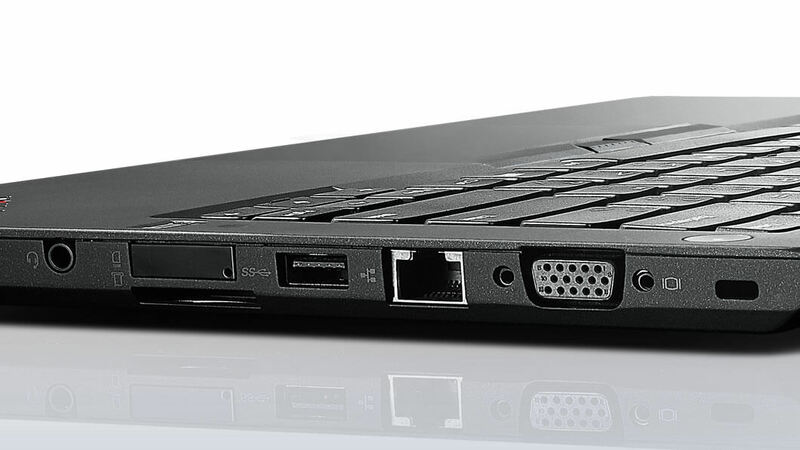 So it can be said that the design of the T450s is quite amazing and spectacular. The ThinkPad T450s may not be the lightest or thinnest notebook around but at 13 x 8.9 x 0.83 inches, the laptop is more than svelte enough to carry easily. 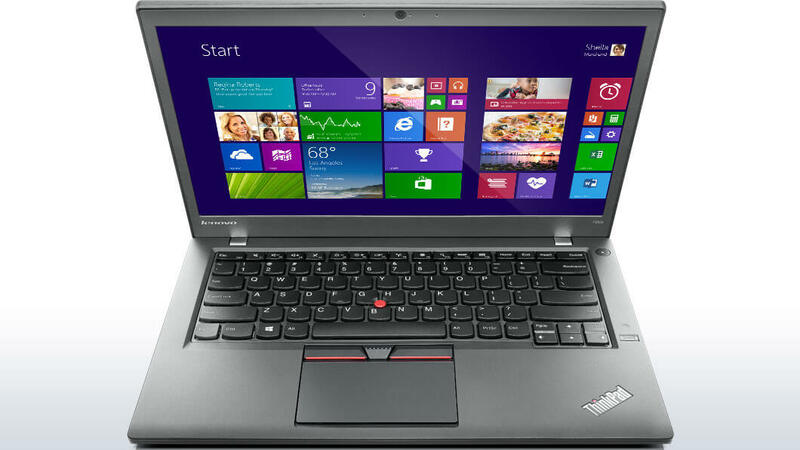 With a regular display, the T450s weighs at 3.5 pounds while the touch screen version weighs at 3.8 pounds. Its Dolby powered speakers offer impressive quality and thus the audio is clear and rich with great balance between the low and high frequencies. The island style, backlit keyboard is amazing. 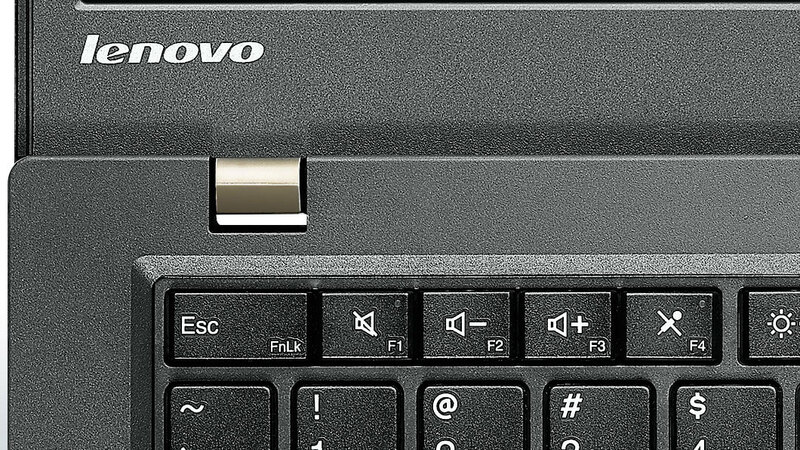 The chiclet shaped keys at the keyboard also provide springy feedback and it exhibits no flex at all. With the carbon fibre lid, interior roll cage and magnesium body, the ThinkPad T450s is mainly designed to take abuse, passing the MIL SPEC tests for high temperatures, vibration, humidity, shocks, fungus and sand. Thus it can be clearly said that the laptop is highly durable. By opening stainless steel hinges many times and dropping the metal balls on machine, it was found that the device is durable and sturdy. If a laptop gets stolen, it is not just the loss of device, but the data that gets lost. Thus the ThinkPad T450s not just comes with amazing physical protection system like Kensington lock, it also offers some spectacular features such as hard drive with hardware encryption and so on. 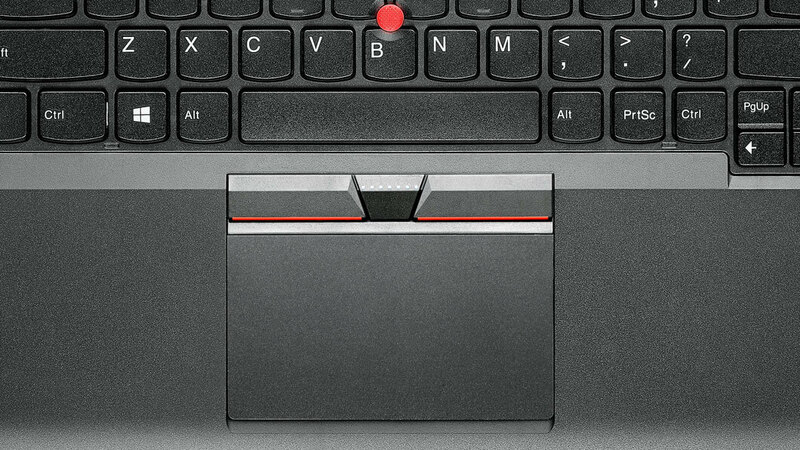 The keyboard of the ThinkPad T450s has a drain that helps to survive the accidental spills. If typing speed and comfort are crucial for you, there is indeed no better option than going with ThinkPad T450S. It has the best keyboard that you would expect in a new age laptop. It is surprising to note that its keyboard is far better than what you will find in other ThinkPads. Having 1.9mm travel and 63 grams actuation force, the keyboard’s keys have strong tactile feel which makes typing highly accurate and comfortable. Indeed as good is subtle indentation in keys themselves that makes it really easy to feel one’s way around and thus avoid the adjacent key mistakes. While it is not quite high fidelity, the speakers of the T450s offer sound which is loud enough if you want to have music in a large room. The 1920 x 1080 touch screen display offers colourful and sharp images. The display produces 100.8 percent of sRGB gamut on colour test which simply means that the display can show more shades than average notebooks of same category. The colours are accurate but you cannot compare them with amazing colours of MacBook Pro. 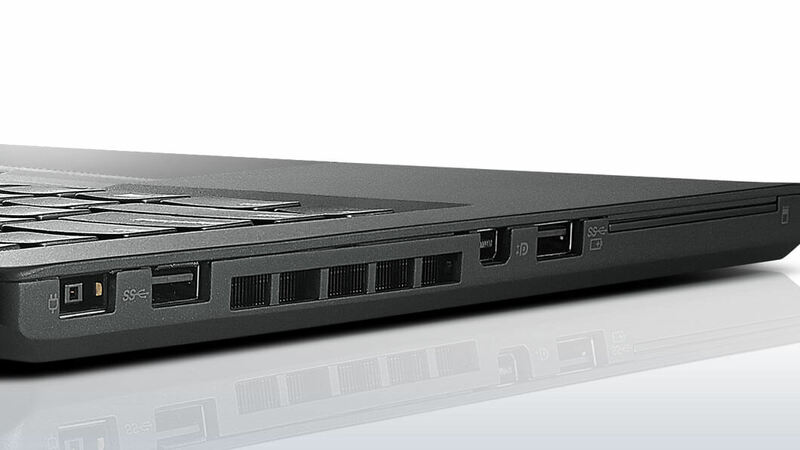 The Lenovo ThinkPad T450s has complete set of ports that let you easily connect to a range of networks and peripherals without using the dongle. On right hand side, there is the USB 3.0 port, VGA out, Kensington lock slot, 4 in 1 card reader, mic/headphone jack and Ethernet connection. It has been noted that many business notebooks actually lack the Ethernet option thus making it difficult to get connected to the wired networks as well as VGA that is standard on various conference projectors and systems. With 2.3 GHz Intel Core i5 5300U, 256 GB SSD and 8GB RAM, the configuration of the laptop is powerful enough to easily handle the different productivity tasks. The integrated Intel HD graphics, 5500 graphics processor is just fast enough to enjoy gaming as well as serious productivity. When we talk about the battery life of T450s, it is amazing. 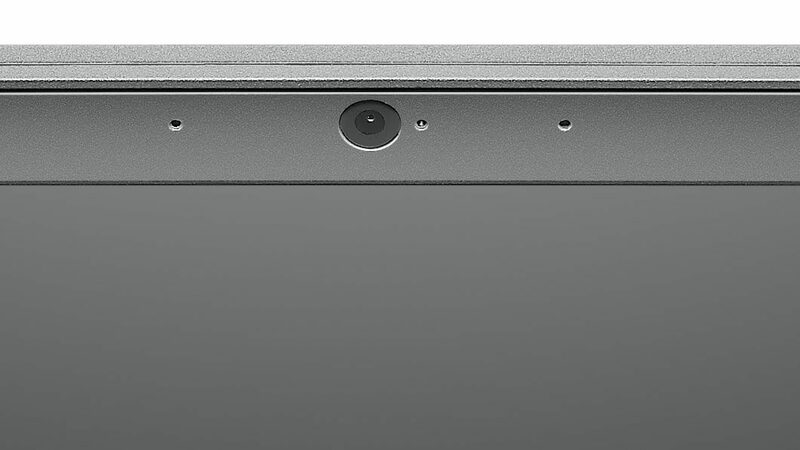 With 6 cell battery attached, the ThinkPad easily lasts for 15 hours and more. This time is in fact more than what you get with MacBook Pro 13 inch and almost the double than ThinkPad X1 Carbon. Thanks courtesy the power efficient 5th generation Core i5 CPU, the laptop has improved on T440s by about 3 hours. 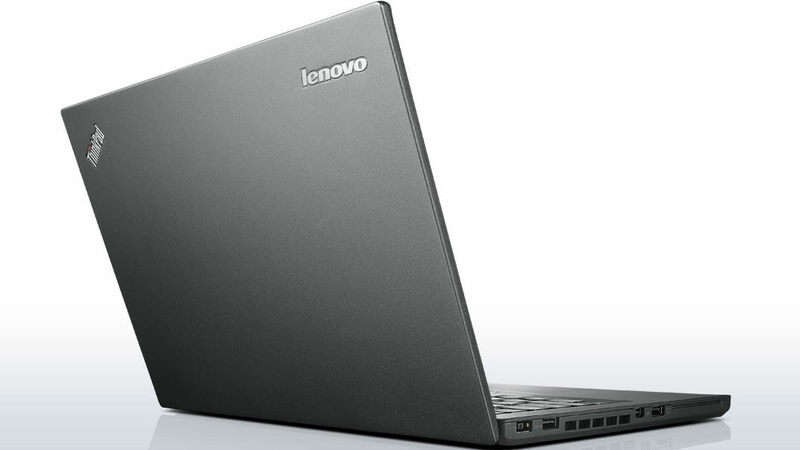 The Lenovo laptop backs standard one year warranty on the parts and labour. One can also get the extended warranty which goes on for 4 years or the on-site service as well as accidental damage protection at an extra cost. As far as software is concerned, the touch friendly Settings allow one to control the audio, power and touchpad/trackpoint and wireless configurations. 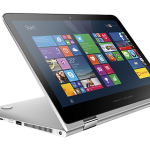 The Companion offers access to support forums of the company, user guides and system updates with a blend of promotional links and articles by Lenovo to news on different websites. So, it can be derived from the review and customer feedback that if you are on the lookout for some great blend of portability and productivity, then ThinkPad T450s will be the best option for you. 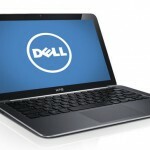 The laptop is a perfect choice for the business and individual users alike. Thus whether you plan to use the laptop for listening to your favourite music, watching movies or pounding away at keyboard for extended hours, ThinkPad T450s must be your ultimate choice. 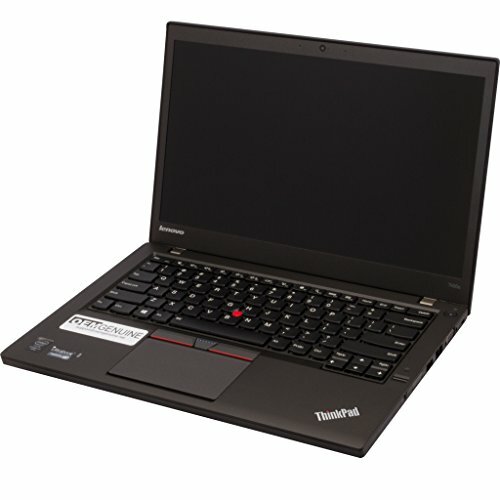 The T450s actually belongs to the most stable devices of its size and class. Well, what you actually get is a great port selection, amazing 1080p display, longer battery life, upgradable internals and highly versatile Bridge battery. So what are you waiting for? Go ahead and buy ThinkPad T450s if you want sleek, stylish and efficient notebook for leisure or work.